o. Prof. em. Dr.-Ing. Dr. h.c. mult. Bernhard Maidl is the former Chair of Construction Technology, Tunnelling and Construction Management at the Ruhr University, Bochum. Prof. Maidl is currently partner of MTC - Maidl Tunnelconsultants GmbH & Co. KG, Munich and Duisburg. Dr. Ulrich Maidl is the managing director of MTC - Maidl Tunnelconsultants GmbH & Co. KG, Munich and Duisburg as well as an officially appointed and sworn expert in tunneling and microtunnelling. Prof. Dr.-Ing. 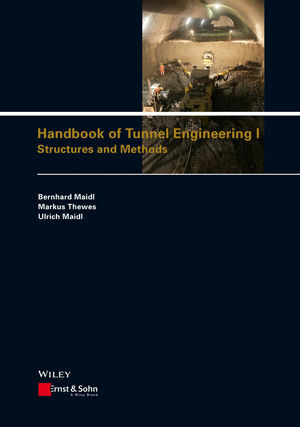 Markus Thewes holds the Chair of Tunnelling and Construction Management at the Ruhr University, Bochum and is active in national and international associations.